Vaccines containing Pertussis and Measles can cause encephalitis. Per the VICP guidelines; onset of encephalitis from Pertussis-containing vaccines is 24-48 hours, and between day five and fifteen for the MMR, M, MR and R vaccines. The neurologic signs and symptoms of encephalopathy may be temporary with complete recovery or may result in various degrees of permanent impairment. Signs and symptoms such as high-pitched and unusual screaming, persistent inconsolable crying, and bulging fontanel are compatible with an encephalopathy, but in and of themselves are not conclusive evidence of encephalopathy. Encephalopathy usually can be documented by slow wave activity on an electroencephalogram. The following clinical features alone, or in combination, do not demonstrate an acute encephalopathy or a significant change in either mental status or level of consciousness as described above: Sleepiness, irritability (fussiness), high-pitched and unusual screaming, persistent inconsolable crying, and bulging fontanelle. Seizures in themselves are not sufficient to constitute a diagnosis of encephalopathy. In the absence of other evidence of an acute encephalopathy, seizures shall not be viewed as the first symptom or manifestation of the onset of an acute encephalopathy. *This means it is no longer considered a contradiction to further vaccination. An adverse reaction association does have a name and it is called: Crying Syndrome or Screaming Syndrome. The scream is also known as cry-encephalitis. 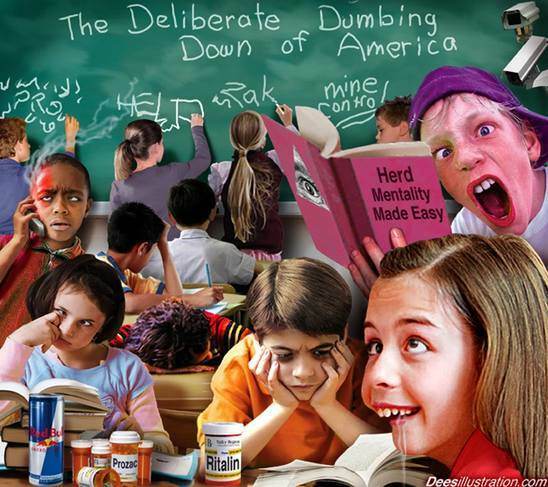 The cause is infection of the brain from the vaccine virus/bacteria. When the body is injected with virus/bacteria it can travel to the brain and cause encephalitis. Encephalitis can be a reaction to any vaccine but the DTP and DTaP is the most common. What is interesting to note is that when encephalitis occurs following an illness, a doctor will treat it correctly. However, following a vaccination, a doctor will tell you it is a normal reaction to the vaccine and do nothing. A multidisciplinary workshop held from September 29 to October 1, 1989, at Airlie House, Warrenton, Virginia, considered the neurologic complications of whooping cough and pertussis vaccine. Pertussis mortality in the U.S. in 2-3/1000 cases. Seizures occur in 1.9% of cases, and encephalopathy in 0.3%. Reviewing all data, it appears likely that a combination of one or more bacterial toxins, asphyxia, CO2 retention and loss of cerebral vascular autoregulation is responsible for neurologic symptoms. The timing of the encephalopathy suggests that it results from increased lysis of bacteria, and release of endotoxin. The encephalopathy is not confined to the paroxysmal phase. In evaluating side-reactions to the vaccine, the following must be kept in mind: 1. Vaccines are not standardized between manufacturers. 2. For a given manufacturer, vaccines are not standard from one batch to the next. 3. Unless the vaccine is properly prepared and refrigerated, its potency and reactivity varies with shelf life. In fact, the whole question of vaccine detoxification has never been systematically investigated. Listed in order of increasing severity, observed adverse reactions include irritability, persistent, unusually high pitched crying, somnolence, seizures, a shock-like “hypotensive, hyporesponsive” state, and an encephalopathy. Since the neurologic picture is not specific for pertussis vaccination, its temporal relationship to the vaccination is the critical variable for determining causation. Although the majority of seizures following pertussis vaccination are associated with fever, it was the consensus of the neurologists attending the workshop, that these do not represent febrile convulsions, but are non-benign convulsions. The incidence of post-vaccine encephalopathy is difficult to ascertain. Basically, the screaming is caused by the pain of the endotoxin in the vaccine getting into his brain. The screaming then causes a release of cortisol through the body which disrupts the immune system. It also causes the body temperature to rise. The intestines ph or acidity of changes, and bacteria called e-coli increases. If the amount gets high, that is when it can cause problems. The DTP is known to slow the function of the liver but it is not known which babies will be affected. Therefore, it becomes important to neutralize the curlin and take strain off the liver. Active booster immunization against diphtheria, tetanus, and pertussis as a single dose in persons 11 to 64 yr of age. – Injection 2 Lf units diphtheria toxoid, 5 Lf units tetanus toxoid, 3 mcg pertactin, 5 mcg filamentous hemagglutinin (FHA), 2.5 mcg detoxified pertussis toxins, 5 mcg fimbriae types 2 and 3 per mL. Active booster immunization against diphtheria, tetanus, and pertussis as a single dose in persons 10 to 18 yr of age. Active immunization against diphtheria, tetanus, and pertussis in infants and children 6 wk to 6 yr of age (prior to seventh birthday). Per CDC, Tdap is for use in adults and children 10 yr of age and older, and DTaP is for use in infants and children younger than 7 yr of age. Encephalopathy within 7 days of previous administration of DTP, Tdap, or DTaP that is not attributable to another cause; progressive neurologic disorders (eg, infantile spasms, uncontrolled epilepsy, progressive encephalopathy), in addition, pertussis vaccine should not be administered to persons with these conditions until a treatment regimen has been established and condition has stabilized; hypersensitivity to any component of the vaccine; history of serious allergic reaction temporarily associated with a previous dose of vaccine or any component of the vaccine. Use in adults or children 7 yr of age and older; if contraindication to pertussis vaccine component occurs, substitute diphtheria and tetanus toxoids for pediatric use (DT) for each remaining dose; defer elective immunization procedures during outbreak of poliomyelitis because of risk of provoking paralysis. It is recommended that the same brand of DTaP ( Daptacel , Infanrix , Tripedia ) be given for all doses in the immunization series because no data exist on the interchangeability of DTaP vaccines. Tdap vaccines ( Adacel , Boostrix ) are not interchangeable with DTaP vaccines. Give DTaP/Tdap with caution to patients on anticoagulant therapy. To attribute causality of adverse reactions, do not give influenza vaccine within 3 days of pertussis vaccination. Headache (44%); tiredness (30%); hyposthesia, paresthesia, vasovagal syncope (postmarketing). Headache (43%); fatigue (37%); convulsion, encephalitis, facial palsy, paresthesia (postmarketing). Fussines (76%); fretfulness (40%); drowsiness (33%); anorexia (11%); convulsions, febrile convulsion, grand mal convulsion, hypotonia, hypotonic-hyporesponsive episode, partial seizures, somnolence, screaming (postmarketing). Drowsiness (38%); anorexia (12%); fussiness (9%); convulsions, crying, encephalopathy, hypotonia, hypotonic-hyporesponsive episode, irritability, somnolence (postmarketing). Drowsiness (29%); irritability (25%); anorexia (10%); fussiness (6%); autism, convulsion, encephalopathy, grand mal convulsion, hypotonia, neuropathy, somnolence (postmarketing). Rash (3%); pruritus, urticaria (postmarketing). Exanthem, Henoch-Schonlein purpura, rash (postmarketing). Erythema, pruritus, rash, urticaria (postmarketing). Nausea (13%); diarrhea (10%); vomiting (5%). GI symptoms including abdominal pain, diarrhea, nausea, vomiting (26%). Vomiting (7%); diarrhea, nausea (postmarketing). Vomiting (7%); diarrhea, intussusception (postmarketing). Idiopathic thrombocytopenic purpura, lymphadenopathy, thrombocytopenia (postmarketing). Allergic reaction, anaphylactic reaction (edema, face edema, face swelling, generalized rash and other types of rash, pruritus), hypersensitivity (postmarketing). Pain (75%); redness (48%); swelling (39%); increase in arm circumference (28%); induration, inflammation, local reaction, mass, nodule, warmth (postmarketing). Tenderness (50%); increased arm circumference (30%); redness (17%); swelling (12%); cellulitis, injection-site abscess, injection-site mass, injection-site nodule, injection-site pain, injection-site rash. Redness (59%); swelling (50%); pain (27%); injection-site reactions (postmarketing). Redness (33%); swelling (28%); pain (21%). Body ache or muscle weakness (30%); sore and swollen joints (11%); muscle spasms, myelitis, myositis (postmarketing). Arthralgia, back pain, myalgia (postmarketing). Fever (14%); insulin-dependent diabetes mellitus (postmarketing). Crying (59%); decreased activity (51%); fever (24%). Fever (7%); cellulitis, ear pain, respiratory tract infection, sudden infant death syndrome (postmarketing). Fever (25%); apnea, sudden infant death syndrome (postmarketing). Safety and efficacy not established in children younger than 11 yr of age. Not indicated for use in patients younger than 10 yr of age or older than 18 yr of age. Safety and efficacy in infants younger than 6 wk of age not established; contraindicated for persons 7 yr of age and older. Safety and efficacy not established in individuals 65 yr of age and older. If any of the following occurs in temporal relation with receipt of either whole-cell pertussis DTP or DTaP, carefully consider decision to administer subsequent doses of vaccine containing pertussis component: temperature of at least 105°F within 48 h not caused by another identifiable cause; collapse or shock-like state (hypotonic-hyporesponsive episode) within 48 h; persistent inconsolable crying lasting at least 3 h occurring within 48 h; or convulsions, with or without fever, occurring within 3 days. If the decision is made to withhold pertussis component, continue immunization with DT (Td if 7 yr of age and older). If Guillain-Barré syndrome occurs within 6 wk of receipt of prior vaccine containing tetanus toxoids, base decision to give subsequent doses of DTaP or any vaccine containing tetanus toxoids on potential benefits versus risks. Patients who experience serious Arthus-type hypersensitivity reactions following a prior dose of tetanus toxoids usually have high serum tetanus antitoxin levels and should not be given Td or DTaP vaccines or even emergency doses of Td more frequently than every 10 yr, even if wound is neither clean nor minor. Use with caution in patients with bleeding disorders (eg, thrombocytopenia, hemophilia) or receiving anticoagulant therapy. Family history of seizures or other CNS disorders is not a contraindication to pertussis vaccine. Defer immunization during course of illness. Minor respiratory illness, such as mild upper respiratory tract infection, is usually not a reason to defer immunization. May have diminished antibody response; defer immunization, if possible, until immunocompetency is restored. Stoppers for Daptacel and Tripedia vials, and tip cap and rubber plunger of Infanrix and Boostrix needleless prefilled syringes contain dry natural latex rubber that may cause allergic reactions in latex-sensitive individuals. Do not receive another “live” vaccine such as oral polio, yellow fever, or varicella (chickenpox) for at least 4 weeks after you have received the measles, mumps, and rubella vaccine. The other live vaccine may not work as well during this time, and may not fully protect you from disease. This may not be a complete list of all interactions that may occur. Ask your health care provider if ProQuad may interact with other medicines that you take. Check with your health care provider before you start, stop, or change the dose of any medicine. ProQuad may cause drowsiness or dizziness. Do not drive, operate machinery, or do anything else that could be dangerous until you know how you react to ProQuad . Using ProQuad alone, with certain other medicines, or with alcohol may lessen your ability to drive or perform other potentially dangerous tasks. This medicine may decrease the effectiveness of tuberculin tests. If you are scheduled to have a tuberculin test within 6 weeks after receiving this vaccination, contact your doctor. You may need to reschedule your tuberculin test. Avoid contact with individuals with weakened immune systems, pregnant women who have not had chickenpox, and newborns whose mothers have not had chickenpox for 6 weeks after receiving this vaccination. Avoid use of salicylates (eg, aspirin) for 6 weeks after receiving this vaccination. Keep written documentation of all vaccinations received to help avoid unnecessary doses. Be sure that your doctor knows the dates that you have received other vaccinations. This vaccine may not guarantee protection against measles, mumps, rubella, or chickenpox. Discuss any questions or concerns with your doctor. Adult women may experience joint pain 2 to 4 weeks after receiving this injection. This usually lasts only a short time. However, these symptoms have persisted for months or, rarely, years. ProQuad contains albumin, which comes from human blood. There is an extremely rare risk of developing a viral disease, or a central nervous system disease called Creutzfeldt-Jakob disease. No cases of viral diseases or Creutzfeldt-Jakob disease from albumin have been identified. Use ProQuad with extreme caution in CHILDREN younger than 12 months of age. Safety and effectiveness in this age group have not been confirmed. PREGNANCY and BREAST-FEEDING: Do not use ProQuad if you are pregnant. If you suspect that you could be pregnant, contact your doctor immediately. After receiving ProQuad , do not become pregnant for at least 3 months without checking with your doctor. It is unknown if ProQuad is excreted in breast milk. Do not breast-feed while using ProQuad . Diarrhea; dizziness; fever; general unwell feeling; headache; irritability; mild rash; muscle or joint ache or pain; nausea; pain, tenderness, soreness, or swelling at the injection site; tiredness; vomiting. Severe allergic reactions (rash; hives; itching; difficulty breathing; tightness in the chest; swelling of the mouth, face, lips, or tongue); fainting; loss of coordination; mental or mood changes; numbness or tingling in the fingers or toes; red, swollen, blistered, or peeling skin; seizures; unusual bruising or bleeding; vision or hearing changes. Encephalitis is inflammation of the brain. The inflammation is caused either by an infection invading the brain (infectious); or through the immune system attacking the brain in error (post-infectious / autoimmune encephalitis). Encephalitis is different from meningitis. Meningitis means inflammation of the protective layers that cover the brain. Sometimes patients have both meningitis and encephalitis and this is called meningoencephalitis. Pertussis vaccination and epilepsy–an erratic history, new research and the mismatch between science and social policy. For over 50 years, concerns have been raised about the risk of pertussis vaccine-induced childhood encephalopathy and epilepsy. This article reviews the scientific literature, and the social and historical context in which the scientific, public health and societal views have not always been aligned. Large-scale studies of this issue have produced conflicting results, although the recent consensus is that the risk of vaccine-induced encephalopathy and/or epilepsy, if it exists at all, is extremely low. Risk estimates in the literature have included: risk of a febrile seizure 1 per 19,496 vaccinations; risk of an afebrile seizure 1 per 76,133 vaccinations; risk of encephalopathy after pertussis infection nil-3 cases per million vaccinations. A recent study showed that encephalopathy in 11 out of the 14 children studied, although previously attributed to vaccination, was in fact due an inherited genetic defect of the SCNIA gene that codes for the voltage gated neuronal sodium channel. This study is important because it provides a solid alternative explanation for the perceived pertussis vaccine-encephalopathy association. The interesting possibility is raised that the encephalopathy apparently due to pertussis itself may, in some cases, be due to an SCNIA mutation. It may also, by analogy, shed some light on the continuing debate about other serious long-term adverse effects of vaccination in general. Measles was once considered a harmless childhood disease just like Chicken Pox. You exposed your child to it so they caught it and ‘got it over with’. No one feared measles, just as they did not fear Chicken Pox. The Measles vaccine had a low uptake in the past as parents did not want a vaccine for a virus such as Measles because it was considered self-limiting and benign. Children began receiving the vaccine more widely only after the 1977 Childhood Immunization Initiative and school vaccine mandates were enforced. 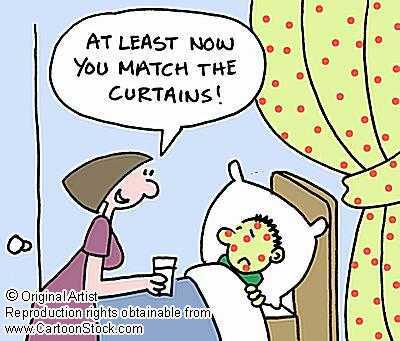 Measles can be a very useful disease in children. They can build a super immune system after having gone through measles. Children with eczema are often cured or relieved of any signs of the condition. Their speech often improves and they go through a maturation process. Many children have been known to make tremendous developmental strides after measles. In the past, when a child was on dialysis, a hospital might have encouraged parents to naturally expose and infect their child with measles because they saw great improvements in the child’s condition. Even today, the childhood Immunization Initiative is in full force, but it has not stopped Measles from being eliminated. From 1963 – 1967 the U.S. had used the killed Measles vaccine. It had a very low uptake which was a good thing in retrospect as it was a disastrous vaccine. It was made with killed measles virus, which skewed the recipient’s immune systems, making them more susceptible to measles after just two years, but in a new form- “atypical measles”. It was characterized by pneumonia, high fever, atypical rash and a high fatality rate. It was a disease which could be gotten repeatedly. The vaccine was quickly and silently removed. A new live vaccine was licensed in 1967, but even that was not used extensively. At first it was to be given to all infants at approximately 12 months of age. 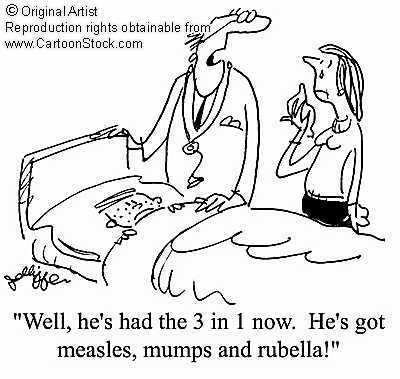 Then it was changed to 6 months, especially if there was measles going around. By 1979, they knew they had problems with this one as well. Babies vaccinated at 6 months of age developed what they called an ‘altered immune response’ which resulted in booster shots at 15 months. Nature published an article which showed that babies under one year of age have very different immune functions and responses than adults do, and simply could not handle the measles vaccine given at that age. It caused immune “energy” rather than an “altered” immune response. Again, these issues were kept quiet and uptake continued to be low. Doctors were encouraged not to report measles cases if possible, so that parents wouldn’t lose confidence in the vaccine. Therefore, you would hear terms such as ‘morbilli-like, or “red measles’. Since most epidemic outbreaks in the late 1980’s and early 1990’s occurred in 95 – 100% of vaccinated children, a second MMR ‘booster’ vaccine was added to the schedule. By 1990 the actual disease was much rarer, and was simply a continuation of a trend which had been going on right up until the 80’s even in the totally unvaccinated communities. (Clinical Pediatrics). Speaking of Booster shots, do all children need them? No. The second dose, or booster shot, is to revaccinate the approximated 5% of people for whom the vaccine never worked the first time, also known as primary vaccine failure. That leaves us with roughly 95% getting revaccinated who may never have needed to be. Secondary vaccine failure is due to waning immunity, and even with a second dose schedule in childhood or early adulthood, outbreaks continue to occur in the vaccinated population. Health Departments like to say that keeping unvaccinated children away from vaccinated children will protect vaccinated children. They will also say that vaccines protect children. So isn’t that an oxymoron? If vaccines protect, aren’t they already vaccine ‘protected’? Unfortunately the answer is no. In 1991 over 60% of Measles cases were in vaccinated children, and cases of Measles continue to occur in the vaccinated. If anyone should be wary of Measles transmission it is the unvaccinated from the vaccinated. Right in the package insert, it states that MMR vaccinated children can excrete Measles Virus and the Mumps virus into the environment. The Chicken Pox vaccine can also be excreted with the MMR-V or Varicella vaccine. Babies, unvaccinated, the immunodeficient, and even older persons can be at risk from newly vaccinated people. Why aren’t parents being told this? The measles vaccine had nothing to do with the decline in deaths, and has not affected the number of children hospitalized during epidemic years since its introduction. Concerning the 1991 USA measles outbreak, over half the deaths were in the vaccinated and most deaths were in immunodeficeint people. (Washington Post. June 14, 1991, BMJ, 11 May, 1991). When news reports talk of Measles reported deaths or more serious injury, why don’t they tell the whole truth? The Germans considered the risks of the vaccine too high given the fact that deaths and disease severity had decreased without any reference to a vaccine. In the pre vaccine era, mothers’ antibodies protected babies for at least a year to a year and a half. Measles was mainly an infection of 5 – 9 year olds and by 15 yrs, 99% had antibodies. Today, adults and infants under one year of age are acquiring Measles which can be very serious. Vaccinated mothers cannot give protective antibodies to their babies, like Mothers’ who have had naturally acquired Measles, can. Therefore, young babies for whom measles can be more serious are no longer protected. In the pre-vaccine era, babies rarely got measles before 18 months because maternal antibodies were very high as a result of natural immunity. Today maternal antibodies are generally so low from a vaccine that it simply does not prime the immune system like natural infection will. Babies are at risk of getting measles at younger and younger ages, because maternal antibodies no longer last 15 – 18 months. So if there is even the slightest nutritional or immunological problem, babies will have an increased danger from the measles virus, as there is a difference between the immune system of a baby and a toddler. Vaccinated babies who have maternal antibodies, or people who have measles suppressed with gamma globulin, can have a higher rate of immunoreactive diseases, sebaceous skin diseases, degenerative cartilage, bone disease, and certain tumors. (Lancet, 5 Jan 1985) Also see: Maternal antibodies interfere with measles vaccination. Now think about this…A study published in BMJ years ago found that a select group of children tested, 50% of those with antibodies to measles had never had any clinical disease, and a small subgroup with rising titers also had no clinical symptoms. Non-symptomatic clinical measles was a common entity. This is also shown for Chicken Pox, and several other diseases. To use antibody statistics as proof of either how dangerous or widespread a disease is is a false argument. Measles, like some other diseases, are also dependant upon regular exposure to the bacteria. Which is why in the U.S. Measles is becoming common amongst older adults, who had it clinically as children. Their long term immunity has been jeopardized by the interruption of the bacteria in the environment, so that their levels are no longer automatically boosted every few years. Measles does not kill children. It is the complications from measles that might attack an already weak immune system. When it knocks down the immune system, the child may become susceptible to other diseases, or develop a secondary infection due to mismanagement of the illness, such as using fever reducing medication, or with a Vitamin A deficiency. One of the big reasons why third world children suffer from complications of measles and other diseases can be viewed here. Vaccinations will always be the higher priority. The focus will be on vaccinating as many as they can and fixing the cause of death is secondary to vaccination. If these children were properly nourished and had access to clean water, they wouldn’t be dying. The substitution of vaccination over proper nutrition, sleep, clean water, etc., will not prevent more serious illness or death. There will be some who will say the theory of herd immunity is real, that Measles has declined due to a vaccine; deaths have been prevented, etc. However, when you factor in mild and subclinical cases which often are not counted, what have we really prevented? Incidence data ignores these cases which make it appear to be something it may very well not be. What about the number of deaths and injury from the vaccine itself? Maybe a financial cost factor needs to be done between treating naturally acquired Measles vs. the injuries and death associated with the vaccine. Speaking of which…MMR and MMR-V coming soon!